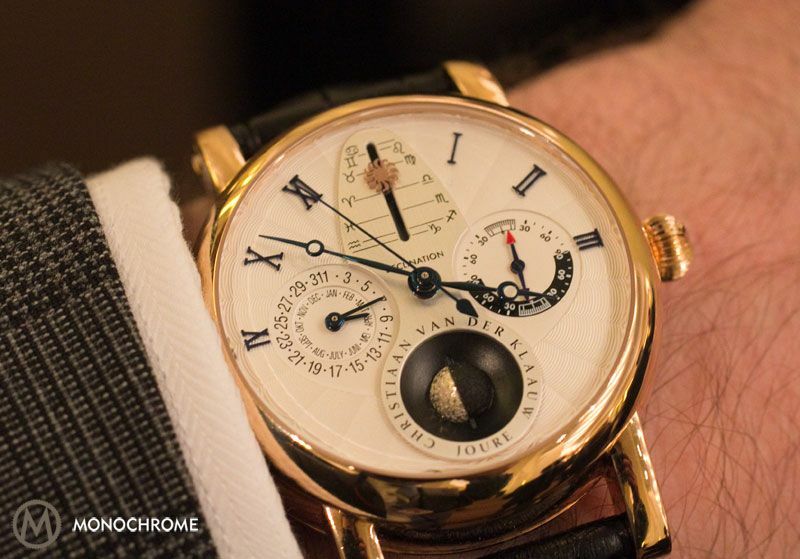 Dutch watchmaker Christiaan van der Klaauw, specialized in wristwatches with astronomical complications, presents the Real Moon Joure. It’s a simplified version of the Real Moon 1980 that was presented last year. 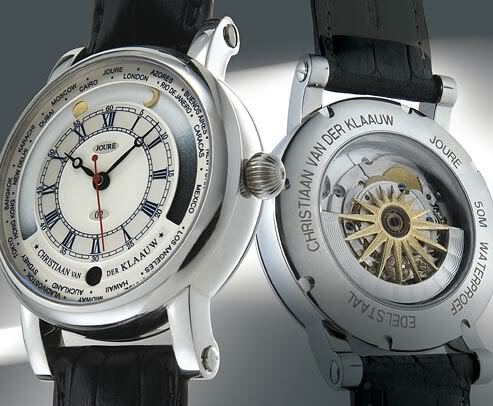 A few years ago we already told the story about Christiaan van der Klaauw, who has gained fame with clocks and wristwatches featuring astronomical complications. 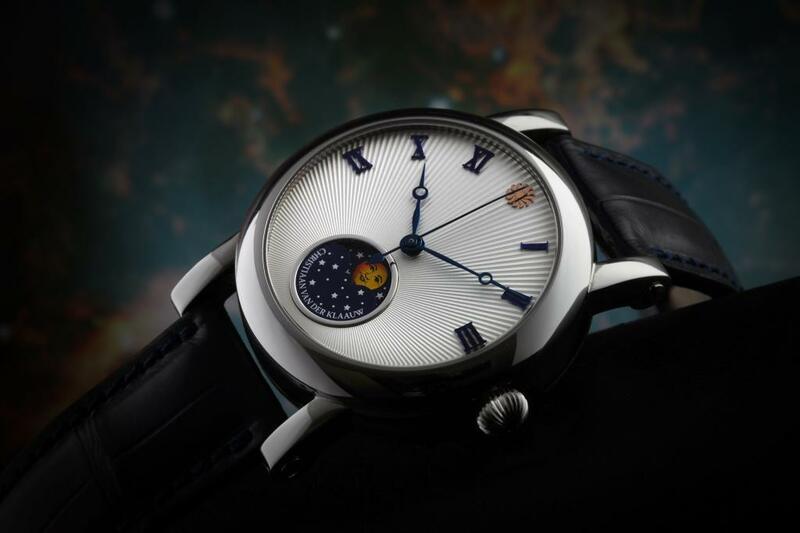 He also developed a wristwatch with the smallest planetarium in the world, called… Planetarium. 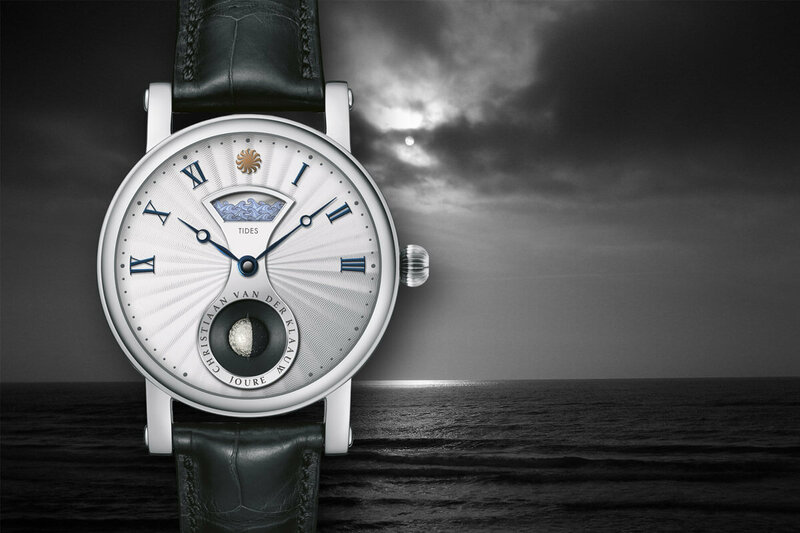 Now he comes with the Real Moon Joure, featuring a three-dimensional moon that only need adjusting once every 1,971,000 daysmaking it the most precise moon phase complication in a wristwatch! Most moon phase complications are not very precise when it comes to indicating the actual moon phase. While the moon rotates around the earth in 29 days, 12 hours, 44 minutes (to be precise: 29 d, 12 h, 44 min, 2.9 s), the gears of moon phase indications on most watches is calculated to 29.5 days, which is of course more than 44 minutes deviation per month. On average that is, because we have months of 30 days, 31 days and depending on the leap year 28/29 days in February. 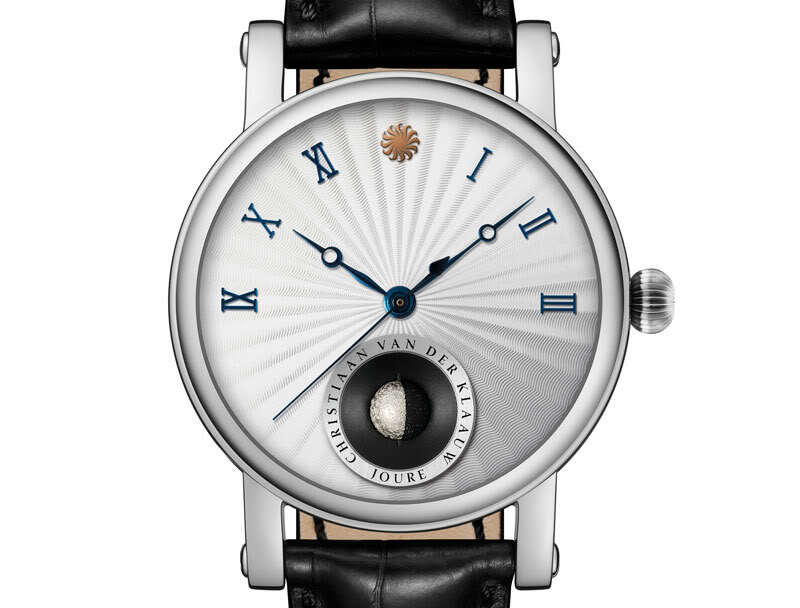 Chritiaan van der Klaauw’s Real Moon Joure, which is named after the village Joure in the north of the Netherlands where van der Klaauw’s atelier is located, is much more precise. It has a deviation of 1 day per 1,971,000 days, or 1 days per 5400 years. A beautiful three dimensional moon is placed at the 6 o’clock position. All watches in the Real Moon collection come in a nice size with a diameter of 40 mm. Inside ticks a Technotime movement with two mainspring barrels, offering a minimum of 72 hours of power reserve. They told me that the watch actually had 5 to 6 days of autonomy on the test bench, however they communicate 72 hours. 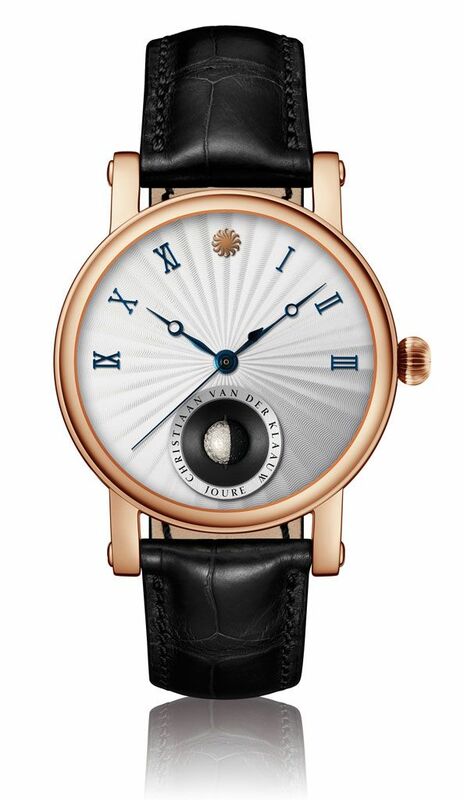 The new Real Moon Joure is available in stainless steel for € 17,950 Euro, rose gold for € 27,750 Euro and white gold for € 34,250 (all prices are including tax/vat). By the way, the version in stainless steel is only available with a black dial. At the beginning of the article I already said the new Real Moon Joure is a more modest version of the Real Moon 1980 (see photo below) that was presented last year. 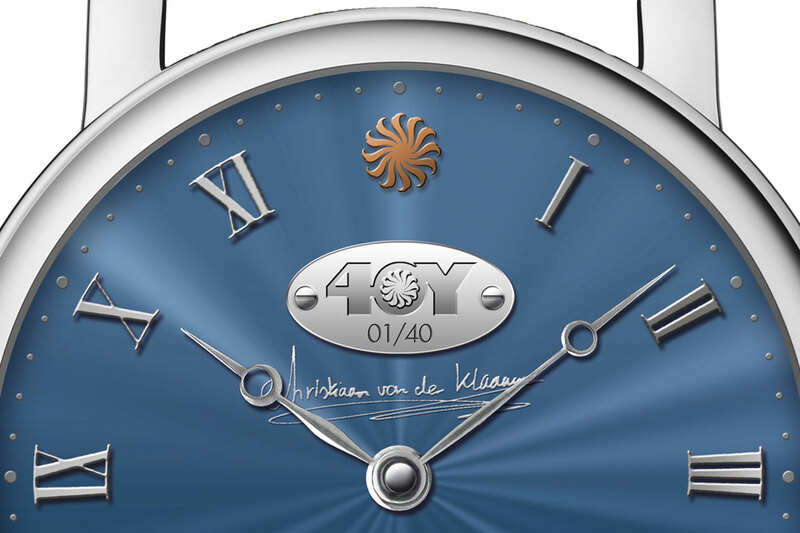 That version features a moving Christiaan van der Klaauw logo to the height of the sun relative to the horizon read. The Earth is rotating on its axis when it orbits around the sun angle. This principle is called declination and has the result that in places where the Earth is tilted in the direction of the sun, it’s summer. During the winter the Earth is tilted from the sun and it gets colder. Wikipedia: In astronomy, declination (abbrev. dec or δ) is one of the two coordinates of the equatorial coordinate system, the other being either right ascension or hour angle. Declination in astronomy is comparable to geographic latitude, but projected onto the celestial sphere. Declination is measured in degrees north and south of the celestial equator. Points north of the celestial equator have positive declinations, while those to the south have negative declinations. The 3 o’clock position is reserved for the so-called Eclipse Guide. If the Eclipse Guide within the indicator moves within the stripes (at top and bottom) somewhere on Earth there is a solar eclipse. At the 9 o’clock position both the month and date can be read. More information can be found on the Christiaan van der Klaauw website. This article is written by Frank Geelen, executive editor for Monochrome-Watches. 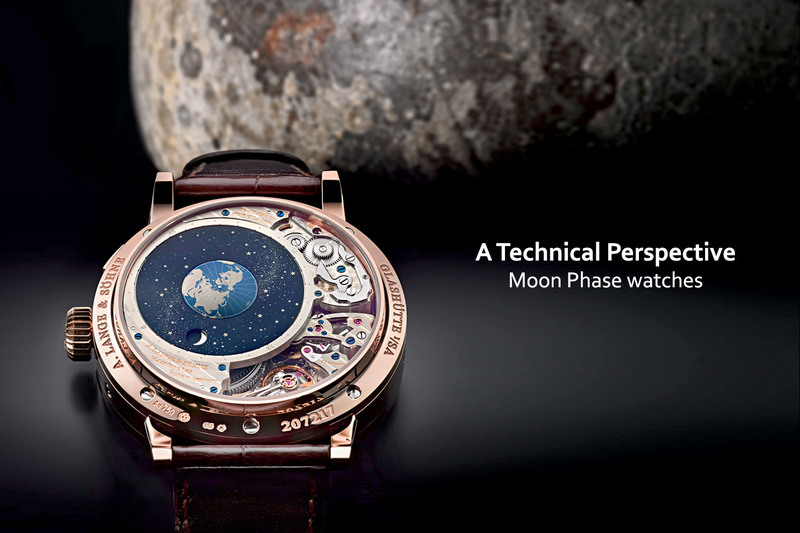 EDIT: Due to a typo in the press release this article has been changed to correctly state this is the most precise moon-phase complication in a wristwatch, that has a deviation of 1 day per 5400 years!